Christmas might be the most wonderful time of the year but it is also the busiest! There's the presents-to-buy list, the Christmas card list, the address for the Christmas cards to be sent to, the Christmas dinner recipes, the food shopping list...and that's without worrying about keeping hold of gift receipts and finding a hiding place for the presents! Avery WePrint cannot help with finding a hiding place for your Christmas presents (sorry!) but we can help you get organised for Christmas by creating a personalised Christmas ring binder. Having a binder to store all your lists, recipes and even your gift receipts will really help take some of the stress out of Christmas. 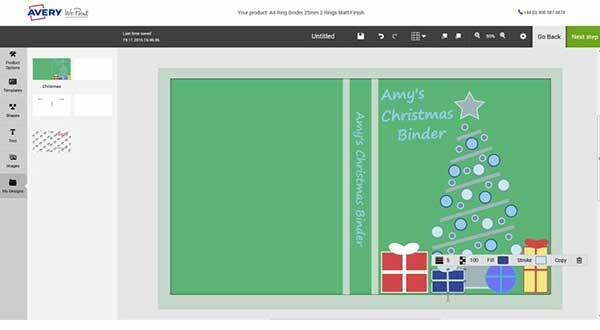 These binders are easy to create using our editing tools on the WePrint website. We have a selection of ring binders to choose from. You can choose a smaller A5 one to carry around everywhere with you or you can go all the way up to an A4 Lever Arch. It depends on how much Christmas preparation you need to do! Once you have decided on your size and finish our online editor will allow you to your add text, images and even get creative with our shapes tool. 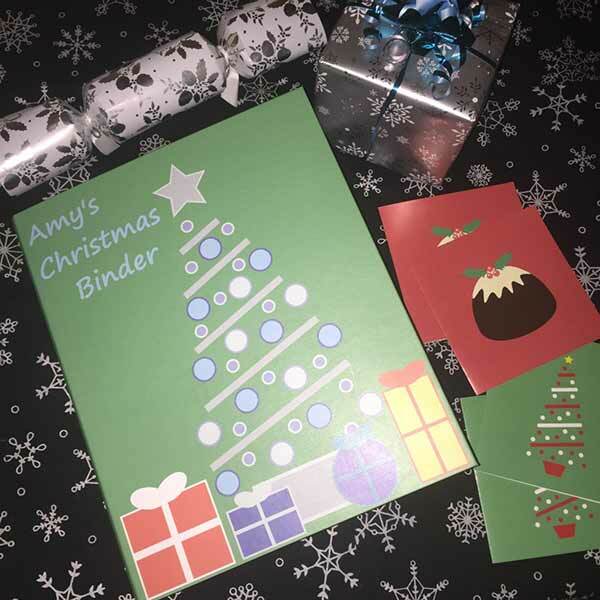 These personalised binders can be used year after year as a really handy way to help to keep you and your family organised for Christmas. Plus, we've got an offer running during the Christmas period! For all orders over £50, we're offering free shipping to UK Mainland. So you can get a personalised Christmas ring binder, Christmas cards, party invitations and even labels for Christmas presents - all in one place!